In some of the recipes we have been trialling, some of the ingredients have been left out and others have been put in. One thing that it has taken me a long time to learn is to tailor the recipe to what I like. This paleo lamb stew that my son made was modified just a wee bit. For one thing, we did not add the chickpeas that the recipe called for since we’re trying to eat more “paleo” and chickpeas are not part of that diet. 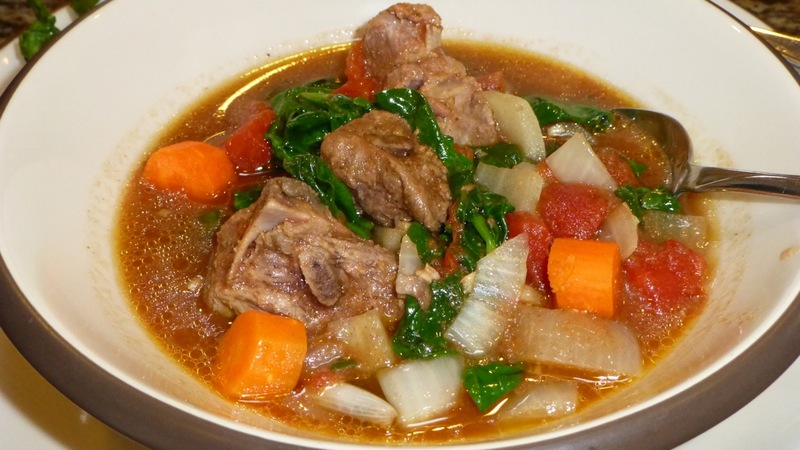 We also used bone-in lamb stew since it was on sale for very cheap at a local store called Kowalski’s. The stew itself was very very good and the cumin and coriander did give it its “Mediterranean” flavor. I still miss my occasional bread though so for those of you who make the stew and aren’t trying to avoid gluten, a nice hunk of french bread would have gone well with this stew.